The journey from cornmeal to a bag of Smoki takes 10 hours. That is how much time is needed to produce the third oldest product of the Belgrade-based company Soko Stark. 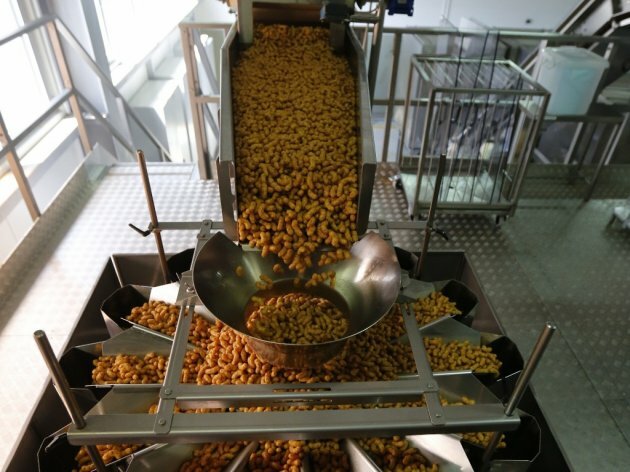 Around 45,000 pieces of this snack are produced in one minute, and the daily production amounts to between 20 and 30 tons. The process of producing the classic Smoki takes around an hour and a half, but it needs to dry in silos for around 8 hours before it is packed. The process is fully automated, and everything except for packing the bags in transport boxes is done by machines. Smoki is produced in three shifts, seven days a week, and the machines are inactive only on Saturdays after the second shift and then once again turned on by the third shift on Sunday evening. As the oldest flips produced in southeast Europe, Smoki is celebrating its 45th birthday this year. On that occasion, eKapija had an opportunity to visit the facility of Soko Stark in the Belgrade neighborhood of Kumodraz, where the snack has been produced since the early 1990s. Smoki was created in the center of Belgrade, in a factory which used to be located in the Knez Danilova Street. It remains unknown, however, who its creator was. In the past ten years, Soko Stark has invested over EUR 20 million in the automation of the packing and the modernization of the production. Furthermore, around EUR 2 million has been invested in innovating the product, and, as General Manager of Soko Stark, Matjaz Vodopivec, says, the company plans to make continuous investments in the automation of the production in the future. – All these investments have improved our activities, as well as consumer satisfaction, which is best proven by record business results. In 2016, we had a historic maximum in sales, over 28,000 tons of products, and revenues over EUR 90 million, but we are especially proud of the fact that Smoki is still one of the pillars in the sales structure of Soko Stark, with a participation of nearly 30% – Vodopivec says. 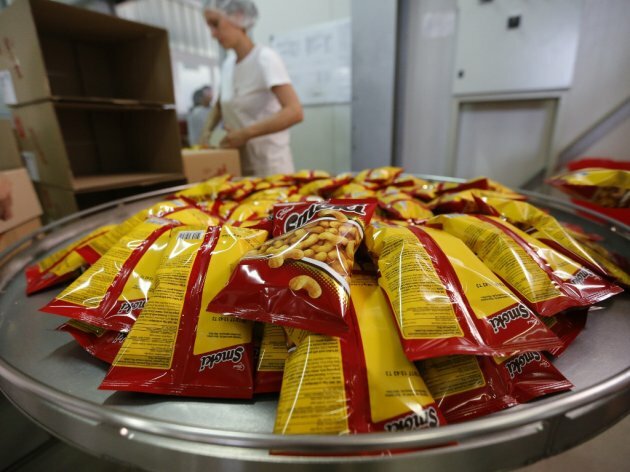 According to him, the production of this snack will soon reach 100 million bags a year, and the company plans to have new Smoki products as well. Vodopivec, however, didn't wish to disclose any details. Continued growth will be the priority in 2017 as well. – We have achieved significant goals in the region, and we plan to expand the Smoki market to the countries bordered by the region, such as Bulgaria, Romania... It's hard to talk about numbers, as each market is specific, and the planned growth compared to 2016 ranges from 5% to 10%, depending on the market – Vodopives emphasizes for eKapija. Smoki takes the top spot when it comes to flips consumption in most of the countries of the region. In Slovenia, Croatia and Bosnia and Herzegovina, it is far above the competition, whereas, in Macedonia, it is in the second place. Montenegro boasts the biggest consumption per capita. Soko Stark's Smoki is made from cornmeal, peanuts, soy flour, vegetable shortening and salt, and its name has become a generic name for all flips products in the market. Aside from the classical Smoki, they also produce Coko Smoki, Smoki Smokic and Smoki Megahrsker for now. Soko Stark started producing in the 1920s. Their first product was the Najlepse Zelje chocolate, which was followed by Bananica and Smoki. Those three products, according to the general manager, now make up nearly 80% of the company's sales. Since 2010, Soko Stark has been operating as a part of Atlantic Group.